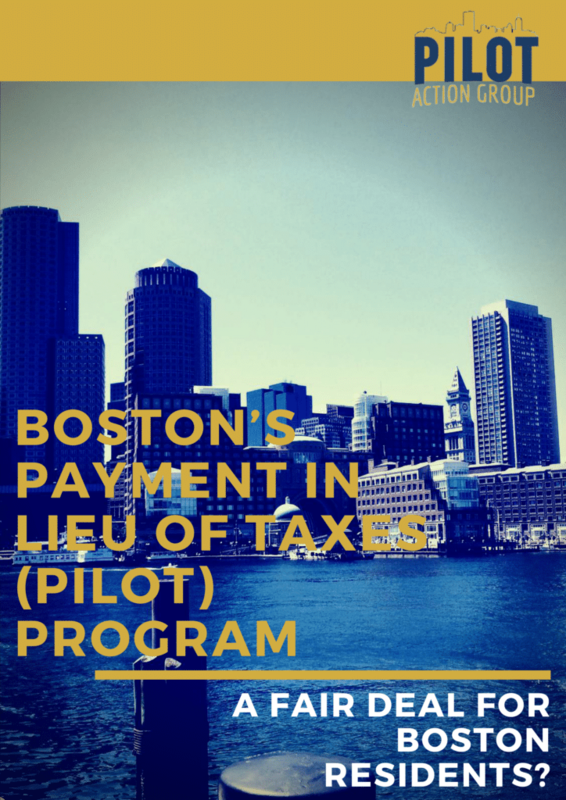 The BTU is proud to have helped put together the PILOT (Payment in Liew of Taxes) Action Group report, Boston’s PILOT Program: A Fair Deal for Boston Residents?, that details the need for updates in this program so that all our nonprofit neighbors are contributing their fair share in payment and community benefits to our city. 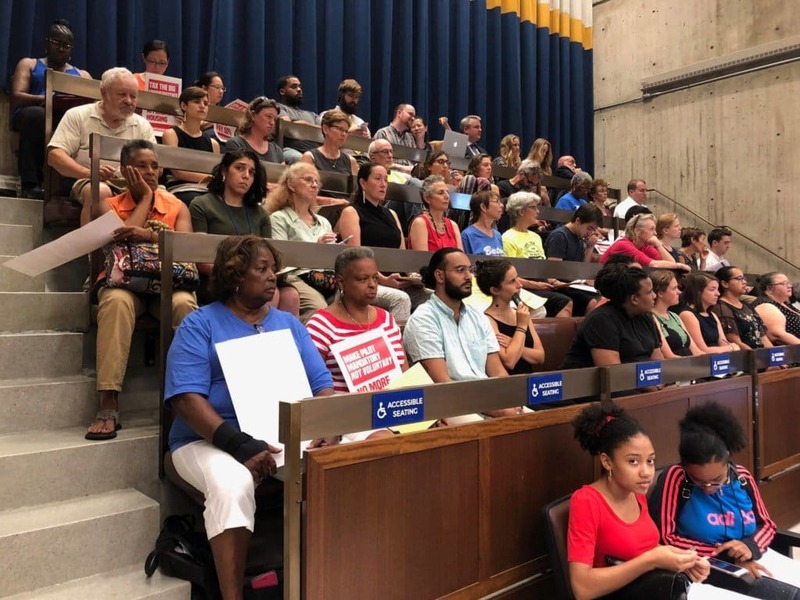 On August 4, BTU members helped pack a Boston City Hall Hearing on the PILOT program. 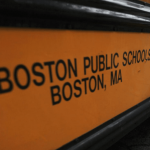 Boston’s nonprofit institutions need to pay their fair share. 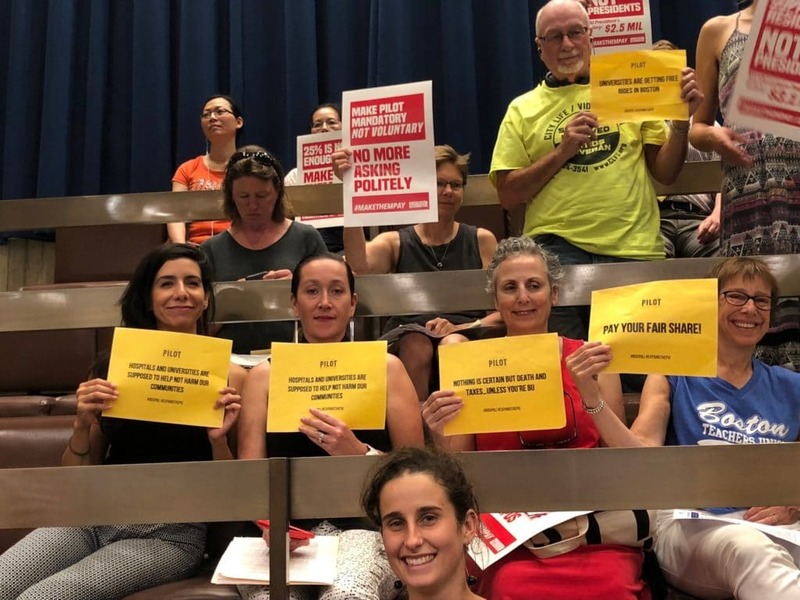 The Payment in Lieu of Taxes (PILOT) program is supposed to make that happen as nonprofits do not currently pay property taxes and 49 percent of city land is occupied by non-taxable entities. 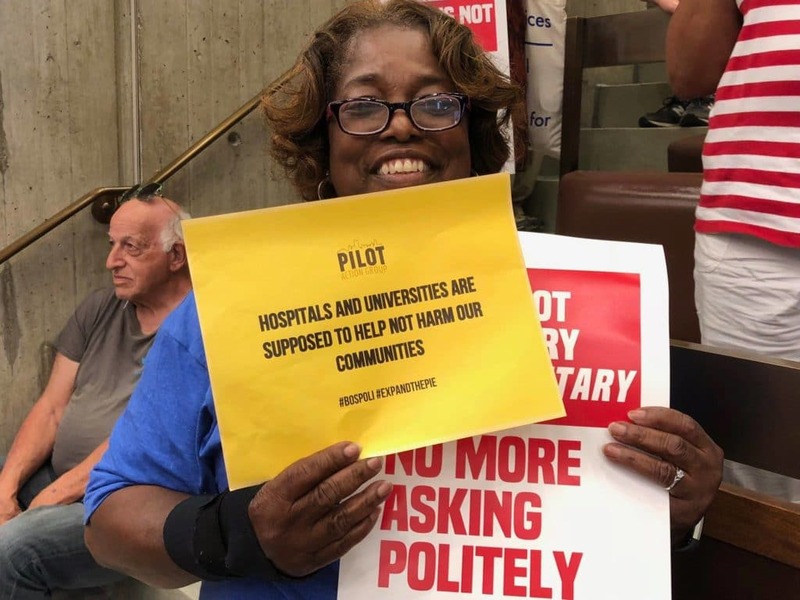 It is not a new problem, but as the Herald’s Brooks Sutherland reports, the PILOT Action Group says its new report shows that the 49 largest institutions in the city have failed to pay over $77 million in promised payments under the PILOT program. 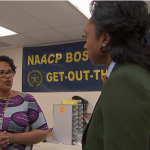 The report states that in fiscal 2018, only 26 percent have paid the promised amount…. Teacher Caitlin Gaffny gave excellent testimony. Caitlin is a teacher at the Tobin, a school which lies in the shadow of Northeastern University. She’s also a Northeastern alum and adjunct professor.